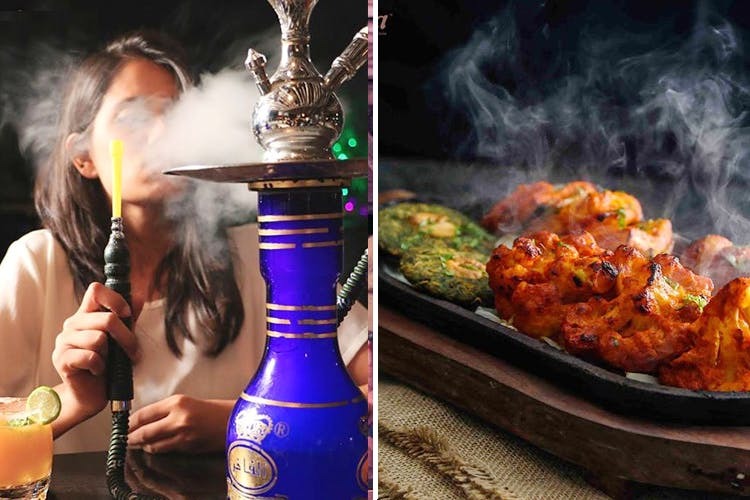 A rooftop restaurant in the heart of Colaba, Koyla is a paradise for sheesha lovers and fans of the Mughlai cuisine. A blend between the ethnic and modern, Koyla’s candles and lanterns lit ambience makes for a rather romantic setting and the food is a winner here. The food here is inspired by the Mughlai style of cooking. The Achaari Paneer, Lehsuni Palak, Chooza Biryani and Ghosht Lababdar cannot be missed. Pair them with a soft buttery naan or paper thin roomali roti, and you’ll be transported to food heaven. The biggest draw of this place is the sheesha served here. They cost as less as INR 100 and are mostly tobacco free. They have some delicious fruit flavoured hookas. If you’ve got a date night coming up and bae loves Mughlai food, you know where to go. They do not serve alcohol here.